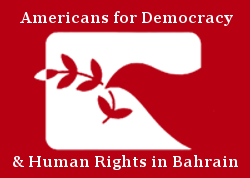 6 March 2017 – Americans for Democracy & Human Rights in Bahrain (ADHRB) and the Iraqi Development Organization take this opportunity at the 40th Session of the Human Rights Council, during the Clustered Interactive dialogue with the Special Rapporteur on Disabilities and the Special Rapporteur on Albinism, to call to the Council’s attention the plight of persons with disabilities in states like Bahrain. In her intervention on behalf of ADHRB and the IDO, Ms. Margaret McIntyre discusses Bahrain’s abuse of young disabled citizens like Mahdi Kuwaid, as the government subjects them to torture and unjust imprisonment. Please continue reading for the full text of the statement, or click here for a PDF. IDO and ADHRB would like to raise concerns about the use of torture against persons with disabilities, in particular regarding the case of Mahdi Kuwaid in Bahrain. Husain, Hasan, Khalil, Jaafar, and Mahdi Kuwaid are five brothers from Bahrain who have been subjected to various rights abuses, including torture to extract false confessions, denial of medical care, and convictions in unfair trials. Mahdi, the youngest brother has a developmental disability, but he too was subjected to these abuses, despite his disability. In July 2015, Bahraini riot police and plainclothes officers arrested Hasan and Jaafar at their sister’s house without a warrant on spurious charges. They were tortured and forced to confess. Later, in March 2017, Bahraini security forces in unmarked cars and civilian clothing stopped Khalil, Jaafar, and Mahdi. They beat Jaafar in the middle of the street although Jaafar had a pre-existing ribcage injury. The officers also seized Mahdi. Although they were told he has a developmental disability, the officers ignored this and beat him in the street, reopening prior wounds. After detaining him, they abused him psychologically, forcing him to watch as security forces assaulted his brothers Khalil and Jaafar. As a result, Mahdi confessed to a serious of crimes he did not commit. A court later sentenced the brothers to prison, with Mahdi receiving a sentence of two years and nine months in prison. He remains there today. Mr. President, Madame Rapporteur, what steps and good practices can you recommend to ensure that persons with disabilities are not subjected to torture and other cruel, inhuman, and degrading punishment?